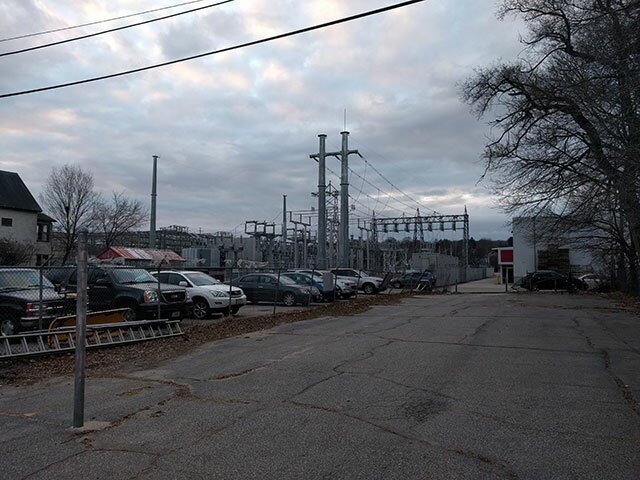 If you're bombing down 290 south in Worcester and find yourself a bit thirsty, pass by Holy Cross, take exit 10, swing around the Hope Cemetary, cut through the Barrows Hardware parking lot, and take a right onto Knowlton Ave, and hit up the 3cross brewing coop. On second thought, be a gent and don't cut through Barrows' parking lot. In an industrial basement. Perfect. So there I was, making the trek to 3cross brewing, bombing down 290, cutting through Barrows’ with Intergalactic blasting on WAAF. I step outta the car, open the door, and what do I hear? She’s Crafty off of Licensed to Ill. SOLD! We here at Pants and Fizz, so, uh, Pants, and Fizz, love the Beastie Boys, so you could imagine how welcomed I felt from the serendipitous B-Boys experience. The brewery radio playlist followed She’s Crafty with Social Distortion, so yeah, the 3cross coop is a good place to be. I will have to bring Pants next time I go. 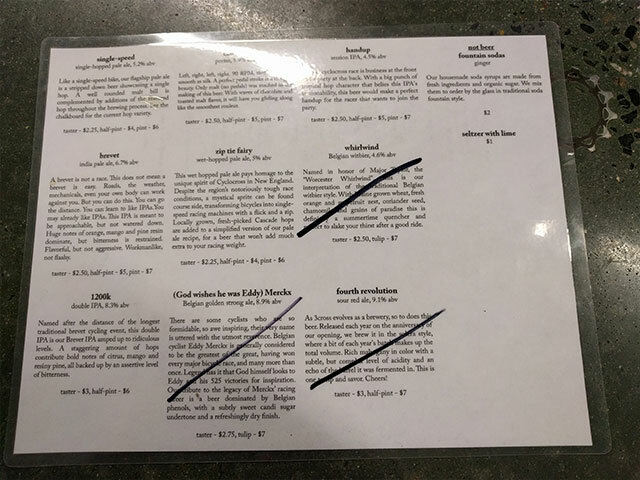 Where is 3cross Brewing located? 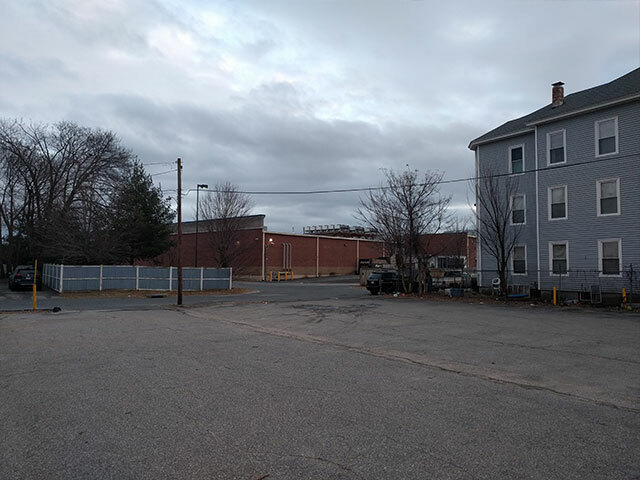 3cross Fermentation Cooperative is one of 4, soon to be 5, breweries in Worcester proper. Opening in 2014, and convenient to area schools like Clark University, Holy Cross, and Worcester State, the 3cross coop can be found on the south side of the city, along with Flying Dreams (who also operate out of Marlborough). On the north side of the city, you have the Greater Good brewery. 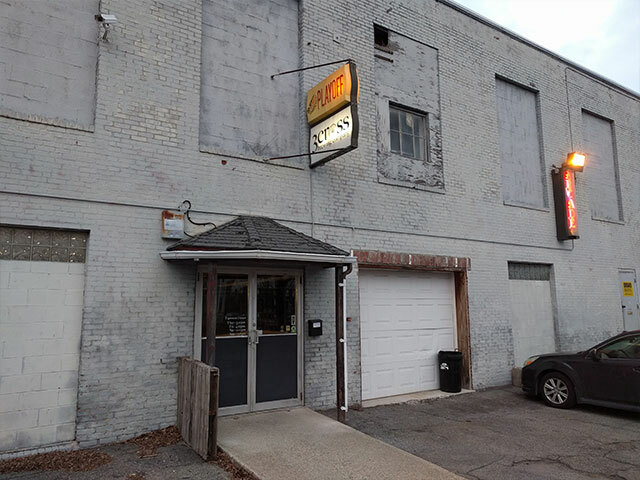 You can find the Wormtown Brewery on Shrewsbury Street, along with Redemption Rock Brewing Company (currently being built). While it would be a long walk to do a brewery crawl on foot, you could certainly do a Worcester Brewery crawl in an afternoon by car. The building may be 26 Cambridge Street, but the parking lot is down Knowlton. One thing you should know is that it legitimately doesn’t look like a brewery should be there. I mean, check out the views from the parking lot. What is unique about the 3cross Fermentation Cooperative? Of all of the craft breweries in Massachusetts, this one might be the most unique. In short, a couple of things. Their dedication to the theme of cycling. 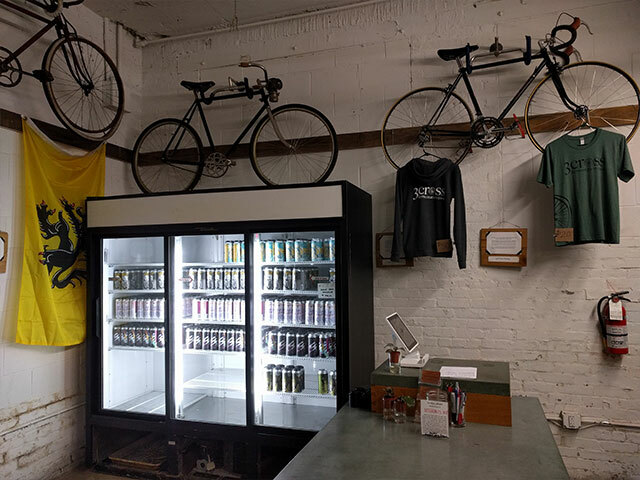 From the ten speeds hanging from the ceiling, to the names of the beer(s), to the gears that are embedded in the bar, it’s clear that 3cross loves biking. Some (maybe all) of the staff brewery all ride. Two, like some other brewers (Craft Roots comes to mind), they ship their spent grains to area farms. Sustainability is a core tenet of the coop’s mission. So many taps, so little time. What is unique about Coop Brewing? They allow for ownership shares in their brewery (the cooperative part of 3cross Fermentation Cooperative). For an equity contribution of $150, you can buy your way into the beer coop. Fun fact, 3cross is MA’s first community-owned brewery. Some of the perks include voting rights on the direction of the business, an annual celebration, and, a quarterly members-only beer. The latter allows you to actually get your hands dirty doing some of the brewing labor, a pretty solid benefit if you ask me. No formal tour, but they are cordial and will answer questions that you may have. Is the taproom kid friendly? Yes. Supervised children are allowed in. What types of beer does 3cross brew? They had a few IPAs on tap. They had a porter and a regular pale ale as well. The most interestingly named beer was the Zip Tie Fairy. And, they had a Belgian brown ale with sour cherries that sounds like a perfect winter warmer. They had 5 different styles of tallboy can available for purchase, including the brevet and handup IPAs. They sell large bottles and growlers to complement the cans. Handup is cool. Fist up would be cooler. No. Their license permits only beer brewed on-site to be served. They were selling a branded bike water bottle, which makes total sense. No. You can bring food with you, order up some takeout, or hope that they have a pop-up food event going on that day. They do, however, make their own fountain soda and kombucha. They had a pile of board games and card games on a wall railing that lines the middle of the space. A couple next to me was in the midst of a riveting game of cribbage. Can I buy 3cross beer in stores? 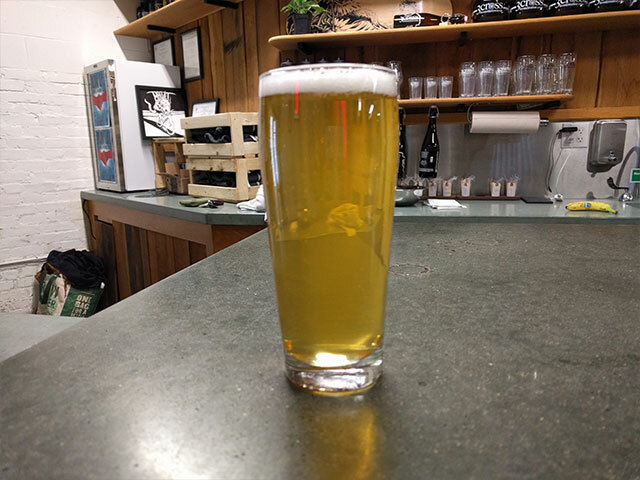 Yes, you can source 3cross cans in a few Worcester and surrounding suburb liquor stores. Also, you can get it on tap at the BirchTree Bread Company, deadhorse hill, and the infamous Boynton. It’s like drinking a beer in bike shop and hanging out with the too young to own a legit business bike shop owner. One of the things I liked most about 3cross was their selection of pours. You can get a 4oz taster, a half-pint, and a traditional pint. And in that spirit, they even suggest that you do a flight to sample the current rotation. Which we applaud, as we aren’t craft beer purists who eschew beer flights. 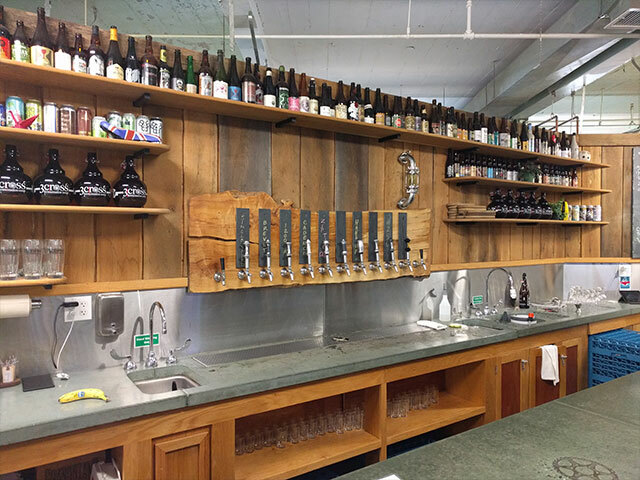 On a formal list of the best breweries in MA, 3cross might not make the cut. The coop would get pushed aside for breweries like Treehouse and Trillium, which are the equivalent of Dave Matthews Band concerts in the late 90s, everyone just goes to go. But much like the city in resides in, 3cross has character, and for that alone, beyond the good beer, a return to the coop is in order!